Kath is Chief Executive of Sustain: The alliance for better food and farming, coordinating around 100 national organisations working together to achieve healthy, ethical and sustainable food – in policy and practice. Since 2016, Kath has led the alliance’s response to Brexit and its profound implications for food, farming and fishing. Among many initiatives, Kath has helped to design and instigate: Sustainable Fish Cities, which has won pledges to serve 100% verifiably sustainable fish from caterers that together serve well over one billion meals a year; the Campaign for Better Hospital Food; and the Right to Food initiative, which aims to allocate accountable national and local responsibilities for a move ‘beyond the food bank’, to end hunger in the UK. 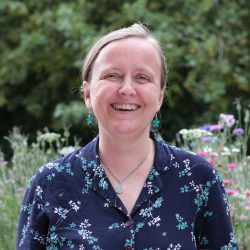 Kath also helped to establish the Sustainable Food Cities network, and is a member of the London Food Board and Defra’s food procurement taskforce.